Raphael was a Polish Discalced Carmelite friar (barefoot Carmelites, dedicated to prayer) inside the Russian partition of Polish-Lithuanian Commonwealth, in Vilnius. 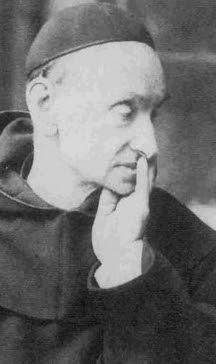 He was a teacher, engineer, prisoner of war, royal tutor, and priest, who founded many Carmelite monasteries around Poland after their suppression by the Russians. The Russians strictly limited opportunities for further education, so in 1853 he enlisted in the Imperial Russian Army. He worked as an associate professor of mathematics and as an engineer who helped design the Odessa-Kiev-Kursk railway. He remained sympathetic with the plight of the Poles and so he resigned from the Imperial Russian Army in 1863 to serve as minister of war for the January Uprising, a Polish insurrection. He determined never to sentence anyone to death nor to execute any prisoner. Raphael was soon taken prisoner and joined the forced march to slave labour in Siberia. He was released ten years later. In 1864, Russian authorities arrested Raphael and condemned him to death by firing squad. His family intervened, and the Russians, fearing that their Polish subjects would revere him as a political martyr, commuted the sentence to 10 years in a Siberian labour camp, and forced him to trek overland to the salt mines of Siberia, a journey that took nine months. He was released from Siberia in 1873 and exiled from Lithuania; he then moved to Paris, before returning to Warsaw where he became a tutor to the 16-year-old Prince. Kalinowski was a major influence on the young prince, who later became a priest. Later Kalinowski travelled to Brest where he began a Sunday school. Kalinowski was ordained as priest and he became prior of the monastery at Czerna. He founded multiple Catholic organizations around Poland and Ukraine. Kalinowski died in Wadowice of tuberculosis in 1907. Fourteen years later, Karol Wojtyła, later known as Pope John Paul II, was born in the same town.